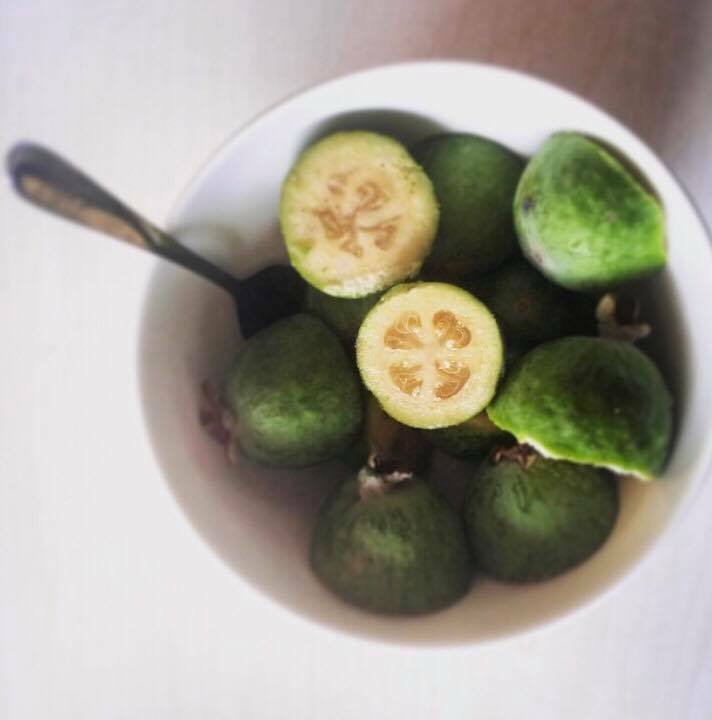 On our property at home we have an abundance of feijoa trees. So many, that it gets to the point that unless you are stewing and freezing them on a regular basis, a lot of them end up rotting and mushy under the trees outside. It can be hard to keep on top of them all, so it’s fun to have a variety of different recipes which incorporate feijoas up your sleeve; that way it will never get boring! 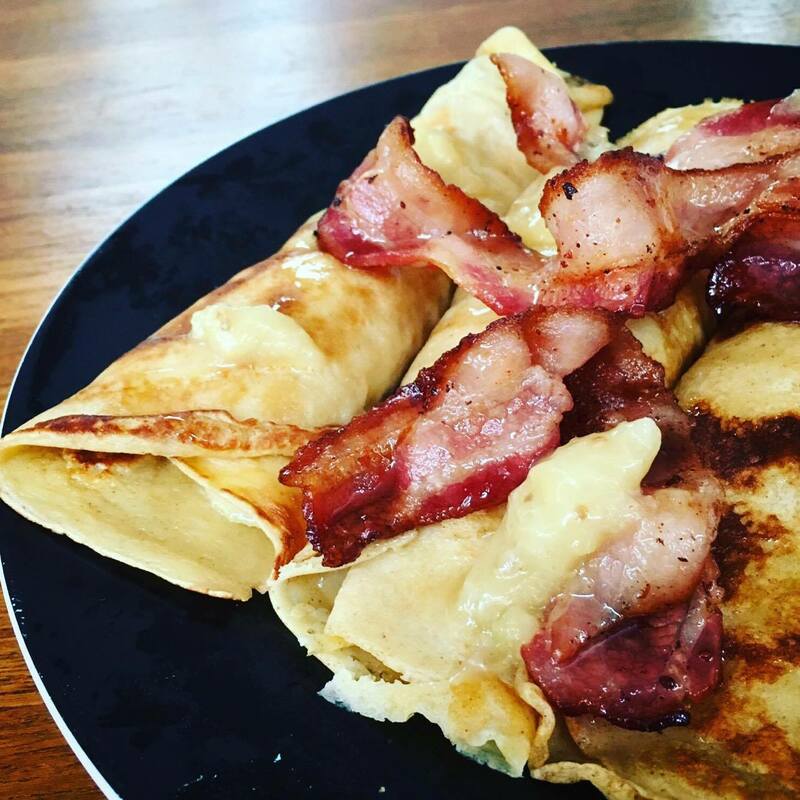 These yummy feijoa crepes make a delicious weekend brunch; paired with bacon they are absolutely scrumptious! Sift flour, cinnamon and ginger into a bowl. Whisk in eggs, salt and about 3 T milk, stirring until there are no lumps. Slowly add the rest of the milk and the honey (melt it slightly if it is too solid) making sure the batter remains smooth. Rest the batter for about 15 minutes. Heat the pan to a medium temperature, add some butter and swirl around the pan. Add about 1/4 c of the crepe batter to the pan, and tilt the pan so that the batter is spread very thin. Cook for 1 or 2 minutes and then flip and cook the other side. Once cooked, put the crepes on a plate and cover with foil to keep them warm. To cook the feijoas, add the fruit plus some butter into a small pot and cook for about 4 minutes. Add the sugar and continue cooking for a few minutes until caramelised. Spoon the feijoas onto the crepes and roll them up. Serve with icecream and bacon.